ENJOY THE BEST BBQ IN OHIO! Stop in and find out why our tender baby-back ribs smothered in our very own sauce won the People’s Choice of the Southwest at the Ohio Ribfest! From weddings and birthdays to corporate events and graduation parties, let us help make your special event spectacular with our catering service. Call Bullwinkle’s Top Hat Bistro today and make your reservation for a great Dayton Ohio barbecue experience. Call us today. 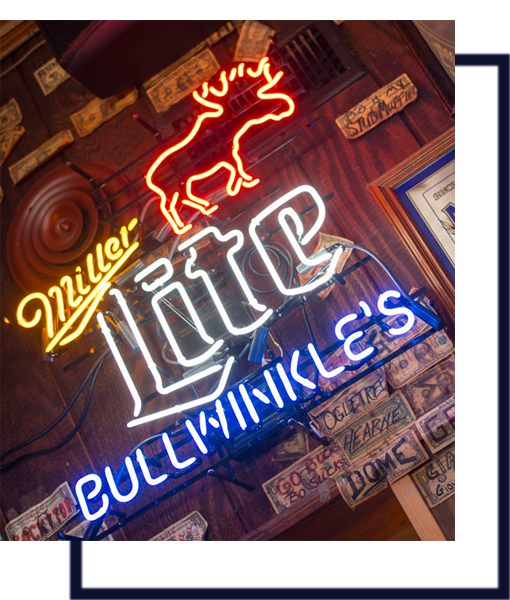 Bullwinkle’s Top Hat Bistro was started in 1986, and quickly became known as one of the Miami Valley’s “hot spots” to get great food, or just to hang out relax and grab a drink with good friends. 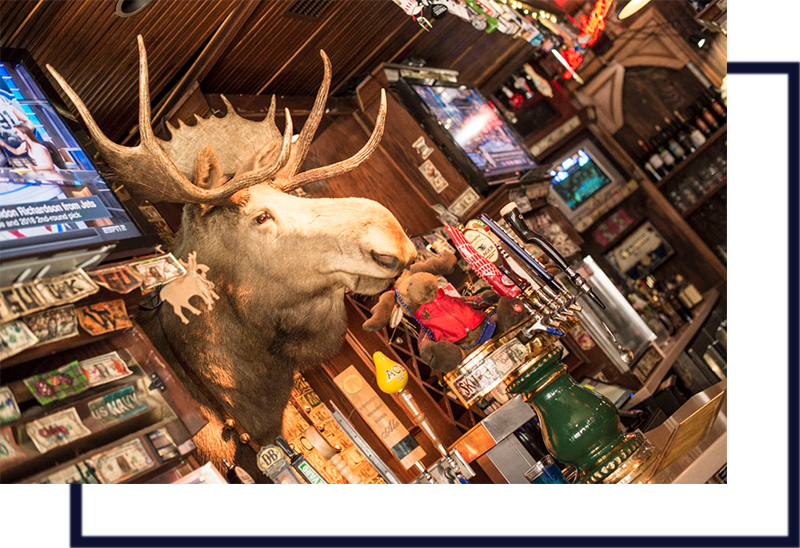 This forged Bullwinkle’s into one of southwest Ohio’s more successful independent eateries. With a constantly changing selection of 20 beers on tap and 25+ different bottled beers in the cooler, we challenge you to find a better place to drink a wide selection of the finest beers available. let us help make your special event spectacular with our catering service.